We have found that so many times people are searching for some verses on a specific topic but don’t know where to find them. We have touched on Bible verses about faith and encouragement, but now we would like to turn our attention to Bible verses about grief. There are many situations on our lives that can cause grief. From the death of a loved one to a child having a severe illness, there is a wide variety of reasons one would be seeking for verses on this topic. Grief speaks of deep sorrow, not just sadness, but a deep hurt that goes straight to your soul. Grief usually is not applied to loosing a job or having your house robbed. This term is usually applied to areas of our lives that involve other people. I have sat next to another lady who’s husband has been cheating on her. We have been to a funeral where a 19 year old young man fell asleep at the wheel on his way home from work and died in a head-on collision. Those are times where grief is so pointed. Matthew 5 contains the Beatitudes. 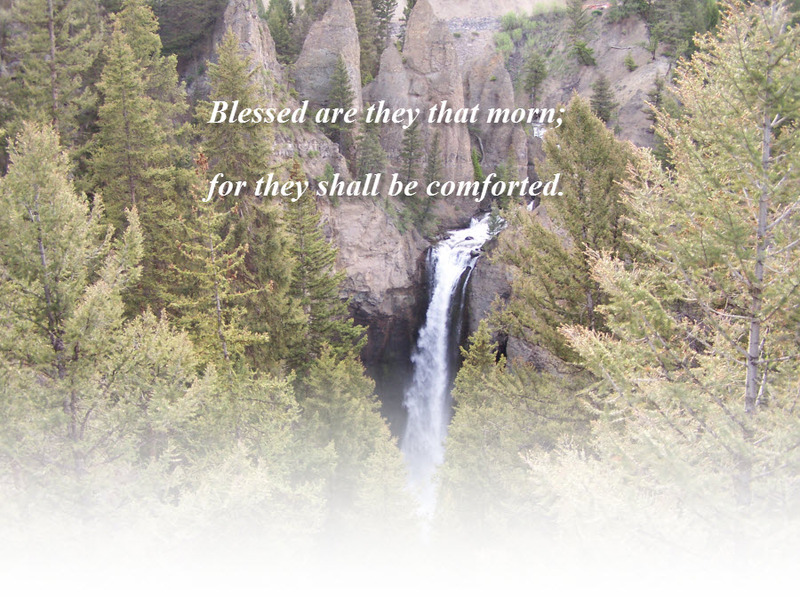 Verse 5 reads, Blessed are they that mourn: for they shall be comforted. God knows what we are going through. He promises to comfort those who are His with His divine comfort. Jesus grieved while he was here on this earth in this passage of grief in the Bible. Isaiah 53:3 says, He was despised and rejected of men; a man of sorrows, and acquainted with griefs: and we hid as it were our faces from him; he was despised, and we esteemed him not. Isaiah 53:4 continues, Surely he hath borne our griefs, and carried our sorrows: yet we did not esteem him stricken, smitten of God, and afflicted. He bore our griefs and carried our sorrows up Calvary’s hill and nailed them to the cross so that we could have freedom and peace in Him. John 16:22 refers to joy following sorrow after the resurrection of Christ. Verse 22– And ye now therefore have sorrow: but I will see you again, and your heart shall rejoice, and your your no man taketh from you. The joy that comes from God cannot be taken away by this world. Even when circumstances in our own lives seem to be tumbling down around our shoulders, God is still there. His Holy Spirit is still in our hearts giving comfort and helping to erase the Bible verses for grief and send us seeking for ones on joy, laughter, gladness, and rejoicing. So if you are burdened down with cares and grief is part of your existence every day or even every minute, seek Christ. Look to him. Be thankful for your salvation and dwell on verses which encourage you. Psalm 30:5, For his anger endureth but a moment; in his favour is life: but joy cometh in the morning. While valley can seem so deep that there is no relief, trust in Christ. He promises that we will not always be seeking Bible verses about grief, but instead about joy and inspiration. If you are in a situation which we could pray for you, please don’t hesitate to call. God’s love is real, near, and available to you today! Faith in God That You Can See! Religion vs. Christianity ~ What is the Difference? The Simple Plan of Salvation ~Yes! It Really Is That Easy!